Yacht charter cruising in Turkey and Greek Islands is similar to living in a nice dream accompanied by lovely intimate friends and by our experienced crew. 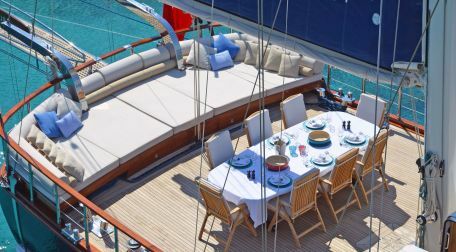 Yacht charter Turkey is the journey that you will remember forever and remember that the crew is almost one of the crucial things your success depends on for your coming yacht charter Turkey for cruising. Our yacht charter crews are all professional they make your cruising quite interesting and thrilling. They have prepared the water toys and wonderful stops while cruising on board of your yacht charter Turkey. Hundreds of crews are listed in our company. We choose the best crews for safe yacht charter Turkey.